Titanium trim. Superb Condition, FORD CERTIFIED PRE-OWNED. This is a perfect match for someone who is looking for a sporty family sedan that is also a luxurious and fuel efficient touring Car. With its stunning looks, this Ford Certified Fusion is sure to impress your neighbors. 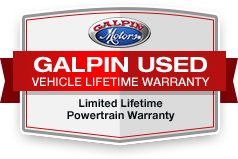 Call us today to see this beautiful Car in person and experience 'Galpin Used Car Difference'.